Assam HSLC Admit Card 2019: Assam State Board of Secondary Examination (SEBA) is going to organize the class 10th/Higher School Leaving Certificate (HSLC) Examinations in February/March months in 2019. Students pursuing the academic year 2018 – 19 can get their hall tickets from the SEBA official portal, sebaonline.org. The hall ticket/admit card is the main document that is needed to attend the test. Before going to attend the academic examinations, all the students must compulsorily download SEBA Assam HSLC Admit Card 2019 to attend the test. All the students must download, print, and keep the admit cards safe to carry to the examination every day. The invigilators will allow the candidates to continue with the examination only after verifying the admit card of the candidate. So, students are instructed to carry the admit cards without fail to overcome the mishap of losing the examination. 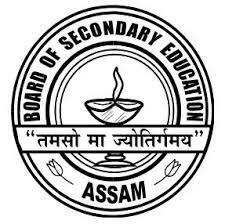 Assam State Board of Secondary Examination is also known as the SEBA. The board was situated in the state of Assam. SEBA was formed in the year of 1962 and the board was giving its continuous services to the executive sector in the state of Assam. The SEBA is the state level education board that monitors the Higher Secondary Leaving Certificate/ class 10th and AHM/intermediate education in the state. The board annually monitors the syllabus and examination patterns and various other associated aspects of the education curriculum in the state. The SEBA conducts the academic examinations in February/March months for all the students and releases the results in April/May months. Yearly, lakhs of students from Assam gains the certification from SEBA Board. The students presently undergoing the education under this board can get ready for the academic exams 2018 -19. All the students going to appear for the Assam HSLC 10th Class academic examinations 2018-19 can download the hall tickets from the SEBA official website, sebaonline.org. The hall ticket/admit card is going to be released in 3rd/4th week of January (tentatively). Hence students pursuing 10th class/HSLC under the Assam Education Board can get ready to download the hall tickets. The hall ticket release date will be announced by the SEBA before the exams. Hence students can stay checking the SEBA portal for the latest updates. Visit the SEBA website i.e., sebaonline.org. On the homepage, ‘HSLC Admit Card 2019 download’ link will be activated.